When a baby penguin goes missing at Perth Zoo, P.I. Penguin is there to help his friends. Who knows where the lost little penguin might be? Can P.I. find him before night falls? Join P.I. Penguin as he solves crimes and mysteries for his animal friends while trying to discover the truth of the mystery that set him on his path, that of his missing parents. 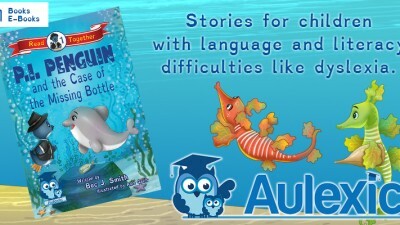 Aulexic titles are all carefully crafted to encourage language and literacy learning. 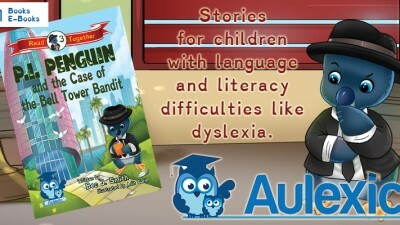 Each story is rich with rhyme and rhythm, vivid concrete words, vibrant images, and dyslexia-friendly text and formatting. We focus on creating engaging stories to inspire even the most resistant readers. Bec J. Smith is the writing team of science fiction and fantasy novelist, Rebecca Laffar-Smith and her two children, Kaylie and Joshua. Rebecca established Aulexic, a small press publishing house specialising in early readers for children with language and literacy acquisition difficulties, because she wanted to inspire her own son to love reading. What better way to do that then to work together to create books he would love and to share those books with other children just like him! Free Activities for Kids – Mazes, Word Searches, and More!